The unique topography of La Gran Sabana’s landscape has made it one of the most visited places in our country, as it is considered one of the world’s wonders. Its attractions have made it famous worldwide, but have also been the source of conflicts. The presence of hundreds of tourists during peak holiday season has threatened its condition as virgin land, leading to indiscriminate construction of tourist facilities without taking into account appropriate standards for this natural paradise. Determining a construction system appropriate to the location’s ecology and conditions is not a whim but an obligation to our natural environment. Rather than interfering with and violating the landscape, construction should naturally complement and aesthetically validate it. 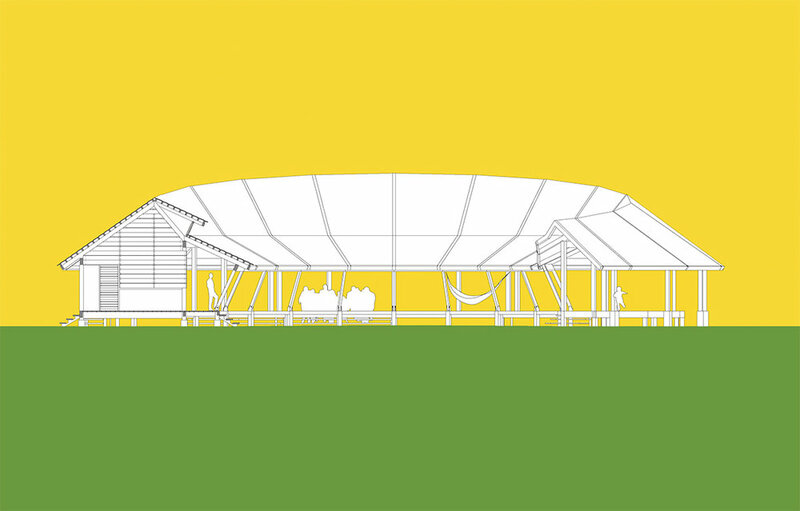 The integrated concept for the architecture, construction, illumination, water supply, and final disposal of waste and sewage creates the overall focus for a building located amid this unique flora and fauna, combining natural vegetation and architecture to create a new, friendly and attractive unit. 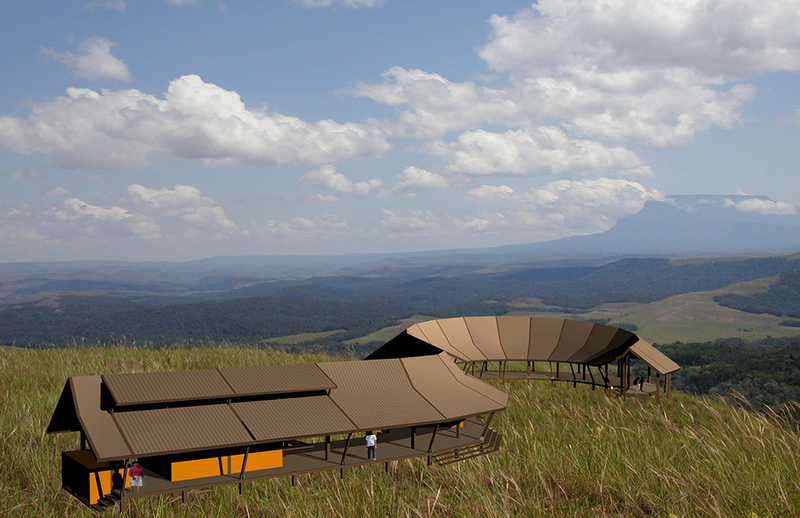 The architectural concept of the proposed construction for the Tourist Eco-Paradors of Gran Sabana is based on the surrounding landscape, conservation of the ecosystem, and study of the area’s typologies. These factors together suggest a structure whose volumetry has organic features that may be defined as a reinterpretation of the native structures typical of this area. Although the space maintains a single and fluid definition throughout, it is structured as three clearly defined parts. 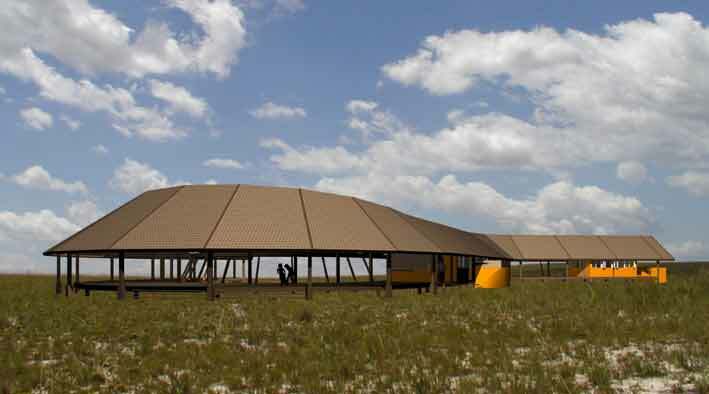 The first is the most important space and is used as a tourist gathering area. This space is planned for contemplation of the landscape from inside and outside the building. Its circular geometry defines an empty central space that is, however, protected by the structure itself, allowing open air activities that feel sheltered. 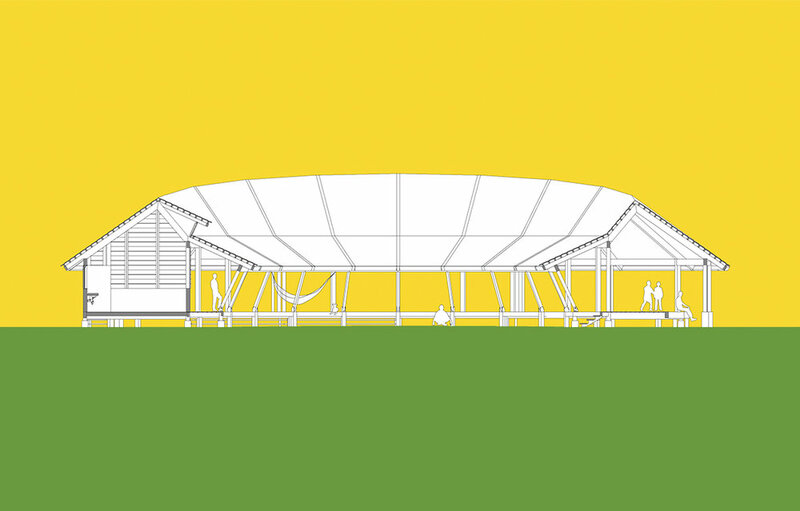 The second space is orthogonal and includes an area for the sale of handcrafts, a tourist office, public restrooms, medical dispensary and employee bedrooms. The third space, although in a different direction than the second, is geometrically similar in shape and organization, and houses the kitchen module, tables and grills. The water tank, as well as the structure for the solar panels and electricity room, are placed away from the building, since they need to be elevated as well as to minimize risk.